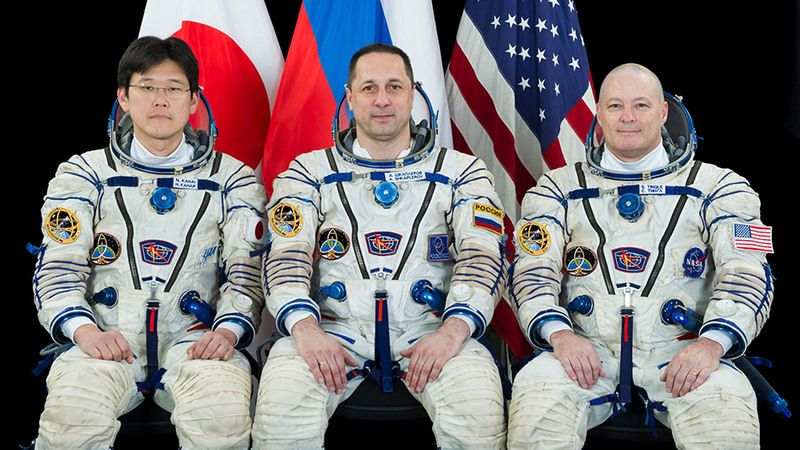 The Soyuz spacecraft carrying NASA’s Scott Tingle, Anton Shkaplerov of the Russian space agency Roscosmos, and Norishige Kanai of the Japan Aerospace Exploration Agency, is scheduled to dock to the International Space Station’s Rassvet module at 3:43 a.m. EST Tuesday, Dec. 19. Coverage of docking will begin at 3 a.m. on NASA Television and the agency’s website, followed at 5 a.m. for coverage of the opening of hatches between the spacecraft and station, expected to occur at approximately 6:35 a.m. The arrival of Tingle, Shkaplerov and Kanai will restore the station’s crew complement to six. 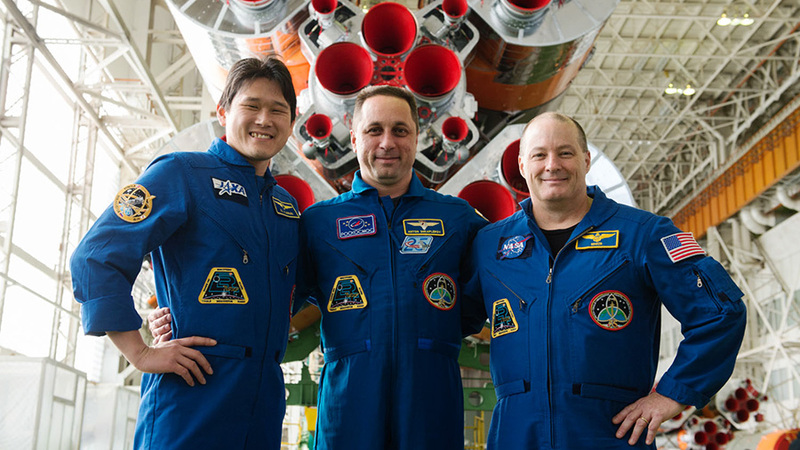 They will joinExpedition 54 Commander Alexander Misurkin of Roscosmos and his crewmates, Mark Vande Hei and Joe Acaba of NASA. 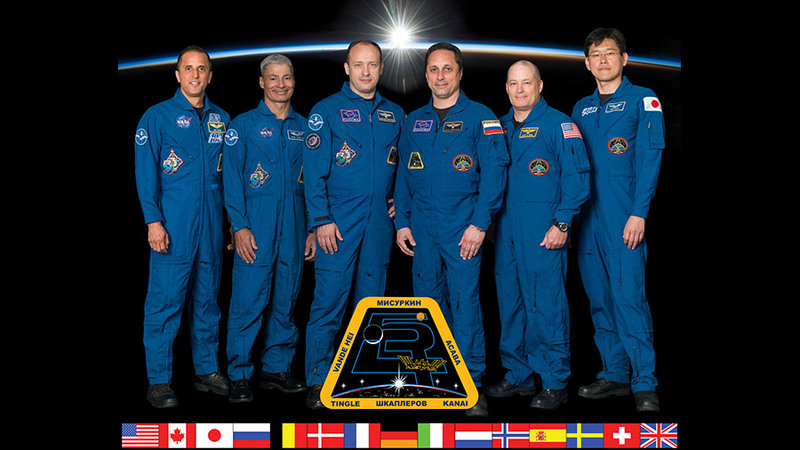 The crew members will spend more than four months conducting approximately 250 science investigations in fields such as biology, Earth science, human research, physical sciences and technology development. 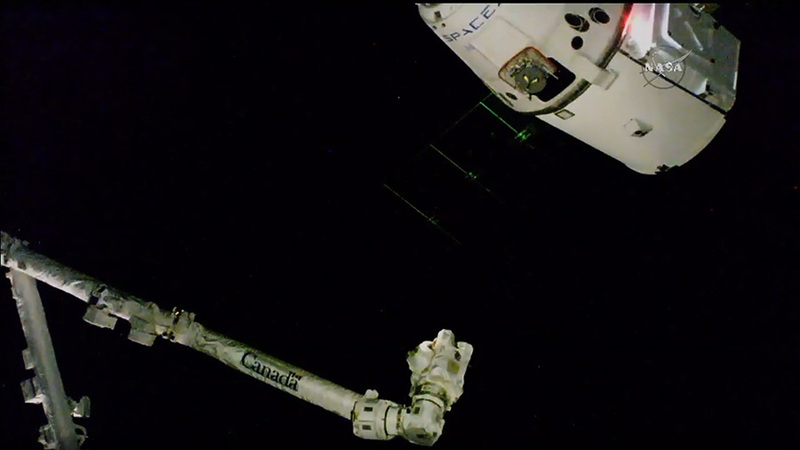 The Dragon resupply ship is pictured just 10 meters away from the space station’s Canadarm2. 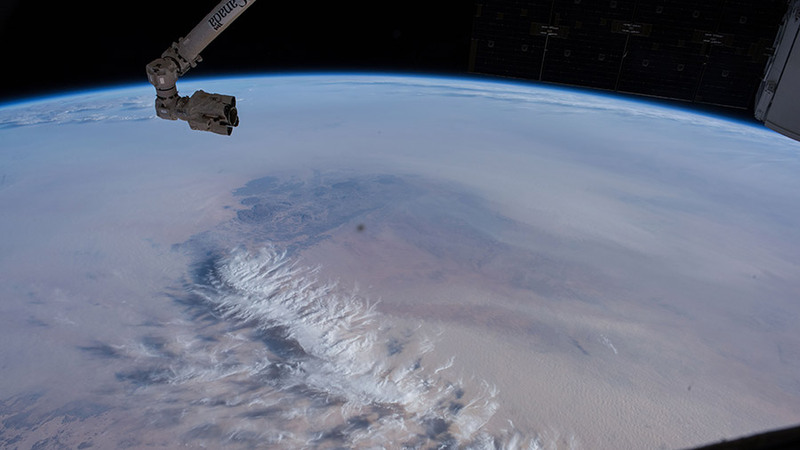 While the International Space Station was traveling overhead between Australia and Papua New Guinea, NASA astronauts Mark Vande Hei and Joe Acaba captured the Dragon spacecraft at 5:57 a.m. EST using the space station’s robotic arm. Ground controllers will now send commands to begin the robotic installation the spacecraft on the station’s Harmony module. NASA Television coverage of installation will begin at 7:30 a.m. Watch online at www.nasa.gov/live. Dragon is carrying a Space Debris Sensor (SDS) that will measure the orbital debris environment around the space station for two to three years. Once mounted on the exterior of the station, this one-square-meter sensor will provide near-real-time debris impact detection and recording. Research from this investigation could help lower the risks posed by orbital debris to human life and critical hardware. Also on board is NASA’s Total and Spectral Solar Irradiance Sensor, or TSIS-1, that will measure the Sun’s energy input to Earth. TSIS-1 measurements will be three times more accurate than previous capabilities, enabling scientists to study the Sun’s natural influence on Earth’s ozone, atmospheric circulation, clouds and ecosystems. These observations are essential for a scientific understanding of the effects of solar variability on the Earth system. For more information about the SpaceX CRS-13 mission, visit www.nasa.gov/spacex. 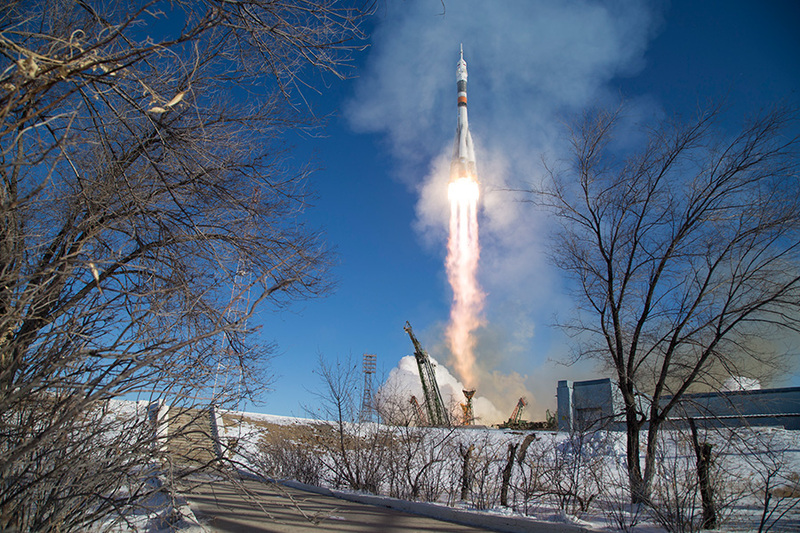 The Soyuz MS-07 launched from the Baikonur Cosmodrome in Kazakhstan to the International Space Station at 2:21 a.m. EST Sunday, Dec. 17 (1:21 p.m. Baikonur time). 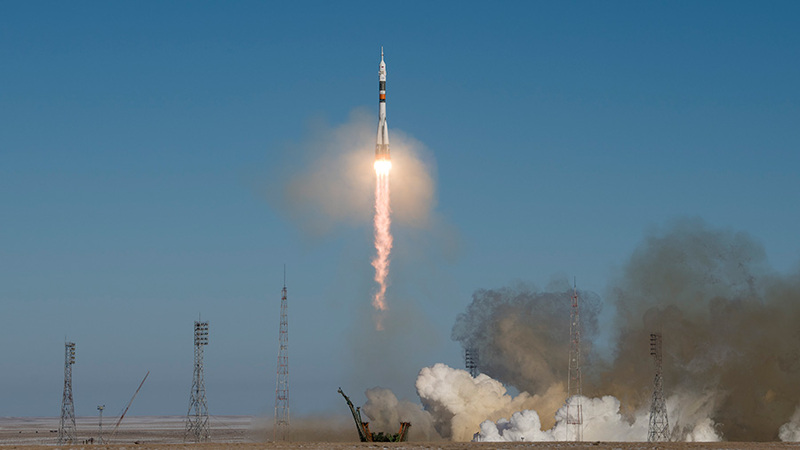 At the time of launch, the space station flew over south central Kazakhstan, northeast of Baikonur at an altitude of about 260 statute miles. 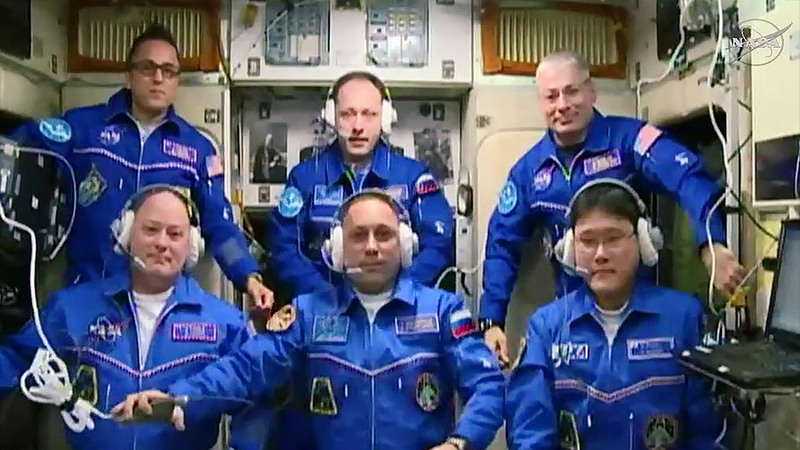 Expedition 54-55 Flight Engineers Scott Tingle of NASA, Anton Shkaplerov of Roscosmos and Norishige Kanai of the Japan Aerospace Exploration Agency are now safely in orbit. The trio will orbit the Earth for approximately two days before docking to the space station’s Rassvet module, at 3:43 a.m. on Tuesday, Dec. 19. NASA TV coverage of the docking will begin at 3 a.m. Tuesday. 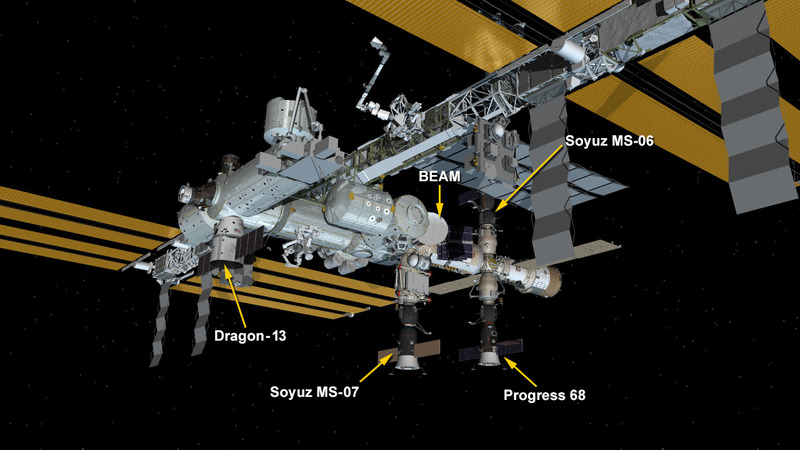 While the crew continue on their journey, flight control teams for the space station and SpaceX Dragon are proceeding toward rendezvous and grapple of the Dragon cargo spacecraft this morning. NASA Television coverage will resume at 4:30 a.m. for Dragon arrival. Capture is expected around 6 a.m. Installation of the Dragon to the Harmony module will begin a couple hours later. NASA TV coverage of installation is set to begin at 7:30 a.m. The Dragon launched atop a Falcon 9 rocket from Space Launch Complex 40 at Cape Canaveral Air Force Station in Florida on Friday, Dec. 15, carrying more than 4,800 pounds of research equipment, cargo and supplies that will support dozens of the more than 250 investigations aboard the space station. For live coverage and more information about the mission, visit: https://blogs.nasa.gov/spacestation/.